The BBC has been criticised for its supposedly "irresponsible" portrayal of binge drinking in its top dramas. Baroness Coussins, a peer who sits on the Advertising Standards Authority council, claims the corporation is failing to show the negative effects of abusing alcohol in shows such as EastEnders and Holby City . Speaking at an advertising conference, Baroness Coussins said: Holby City had doctors, no less, in excessive drinking scenes. Where are the calls for BBC programming codes, or the equivalent in the commercial sector, so the consequences of irresponsible actions have to be shown? In October, the Portman Group, which was set up by alcohol producers to promote responsible drinking, complained to media regulator Ofcom that an episode of the hospital drama Holby City had been "highly irresponsible". 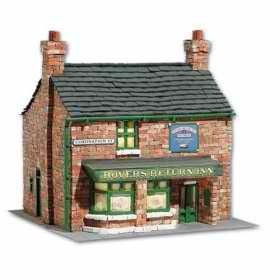 And yesterday, John Beyer, of pressure group Mediawatch UK, pointed out that two of the most popular soap operas on TV, EastEnders and Coronation Street , are mostly set in pubs, adding: The Baroness has a point. But the question is, what are the broadcasters going to do about it? The problem is that they never seem to want to do anything about anything other than to carry on with their own agenda. He added: Soaps are so popular with young people and it is mostly young people with disposable income that are binge drinking. 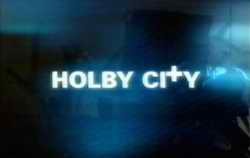 A BBC spokesman said neither EastEnders nor Holby City set out to "glamorise" alcohol but intended instead to "reflect society". A spokesman claimed the corporation always tried to handle the issue "sensitively" and said it did in fact show the negative consequences of alcohol. Coronation Street, EastEnders, Emmerdale and Hollyoaks have been accused of sending out harmful messages to youngsters by airing drinking scenes too frequently. An article in the Mirror newspaper found that the pre-watershed soaps are the worst offenders for showing characters consuming alcohol. ITV1's Emmerdale contained 21 booze scenes in a one-week period. Coronation Street and BBC One's EastEnders both had 16, while Channel 4's Hollyoaks featured 11. Alcohol Concern's Don Shenker has described the results as shocking , adding: Children learn to familiarise themselves with alcohol as another commodity, like bread or milk, rather than a potentially harmful substance. Alcohol on film and television often leaves out the possible harm it can cause - binge-drinking may be glamorised and humourised. If young people in particular see their favourite characters and role models drinking heavily, we need to think about what kind of message that puts across. A spokesman for the BBC insisted that the corporation is always careful to show the consumption of alcohol in context. EastEnders is mindful of its family audience and is careful to portray responsible drinking. As with most continuing dramas, it features a pub.